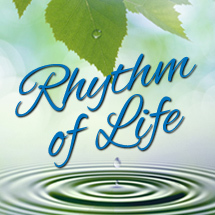 Our Spring Concert—“Rhythm of Life”—will be Saturday afternoon, May 11 at 3 pm. That’s Mother’s Day weekend! What could be a nicer thing to do with your mom than enjoy a Women’s Choral Society concert together! The program focuses on mothers and the seasons of love. You may choose to print your tickets at home or have them held for you at will-call, to be picked up right before the performance. Use the drop-down box on the payment screen.